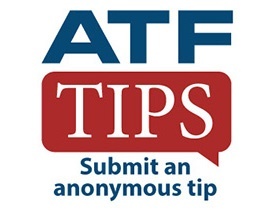 Welcome to the Bureau of Alcohol, Tobacco, Firearms and Explosives (ATF), Louisville Field Division. Our Division is responsible for ATF criminal enforcement and industry regulatory activities in the Commonwealth of Kentucky, State of West Virginia and Southern Indiana. Our dedicated work force is comprised of special agents, investigators, auditors, technicians and support staff. Read more about the Louisville Field Division. Text the code ATFLOU to 63975 and then follow the link to create a report.